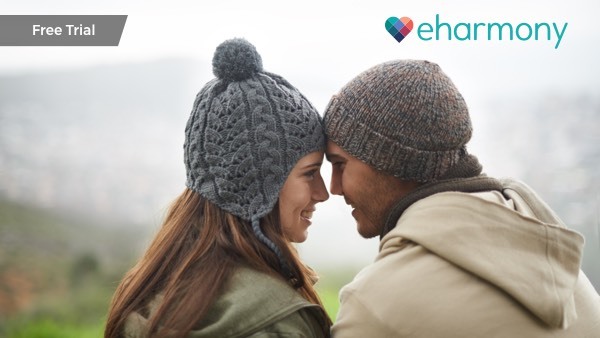 If you’re looking to make a meaningful connection online, we’ve got some good news for you – eharmony is devoted to helping people find that special someone. Eharmony has made a name in the online dating industry by focusing on marriage material and cracking the code of what makes each individual user tick – and fall in love. You can give it a test run without paying for the service, just to see what you think. Signing up for a free membership on eharmony is simple. Just fill out the form on the site’s homepage. Once you’re in, you’ll be asked to answer dozens of questions as part of the site’s “29 dimensions of capability.” These questions include how you’d describe yourself, from height, weight, build, and ethnicity, to your emotions, lifestyle, and relationship goals. It also includes several questions about the type of person you’re looking for. After you’ve finished the questionnaire you can surf the site for free, but you’ll need to sign up for a paid membership in order to take advantage of the site’s features or to communicate with other users. What Does a Free Membership Include? You can create an eharmony profile for free and complete the questionnaire which gives you some insight into who you are and what type of people you’re compatible with. You can search the site to see who is available in your area, though you won’t be able to view their pictures without paying for a membership. Eharmony holds events about once a month in most major cities. Free members can take advantage of these events. In addition, every few months eharmony holds “free communication weekends,” allowing you to message other members directly without having to sign up for a paid membership. Another option is to set up a free 3-day trial that will give you all the benefits of a paid membership. You’ll have to hand over payment details and if you don’t cancel within 3 days, you will be charged the premium price. Without a paid membership you won’t be able to contact other members directly or chat online. The free membership allows you to take the personality test and see what makes you tick, but it is really just a window into the dating site. If you want to take advantage of what eharmony has to offer, you’ll need to pay up. Once you have a paid membership you’ll be able to see all of your matches’ photos, send unlimited messages, use the mobile site, and see which users have viewed your profile. You can click on the “subscribe now!” at any time and will be taken to a menu that shows the various eharmony payment plans. Choose your plan and you should be up and running in a matter of minutes. According to eharmony’s own figures, the site is responsible for 4% of marriages in the US. The company is clearly devoted to long-term, serious connections, and uses questions and data to find you the right match. Eharmony is a smart option if you're ready to start something serious. Our editorial staff is comprised of writers who are passionate about the world of online consumer services—from food and dating to health and wellness. We specialize in simplifying the process of choosing the right service for your needs.